Sweet Grass Ranch, on the National Register of Historic Places, is an operating guest ranch and cattle ranch. 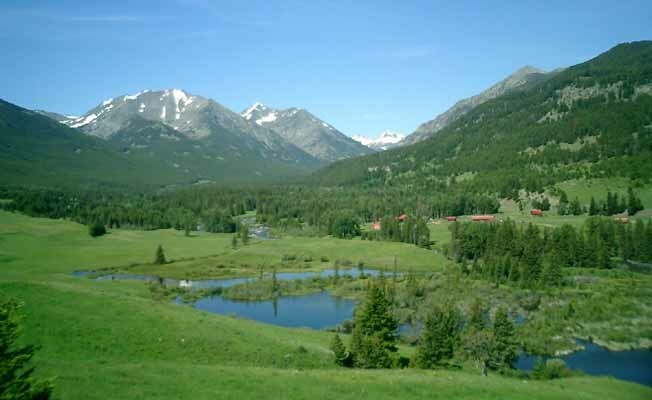 It is secluded in the mountains forty miles from Big Timber. Guests are welcome to take as active a part as they like in all phases of ranch life or to enjoy unlimited scenic riding in the magnificent Crazy Mountains and their foothills. The ranch offers sunrise rides, daily all-day and half-day rides, dinner rides, overnight horse trips, fishing, hiking, birding, wildlife watching tours and photography trips, swimming in the creek and beaver ponds. Meals are family style; there is no television and no social organization. Guests are invited to live ranch life as the family, here for six generations, does.